Check out our various pump installation services we offer at Pura Vida Drilling. We ensure you we have the latest technology and the most accurate testing in your area. If you have a dry or low producing well, hydrofracturing is your answer! 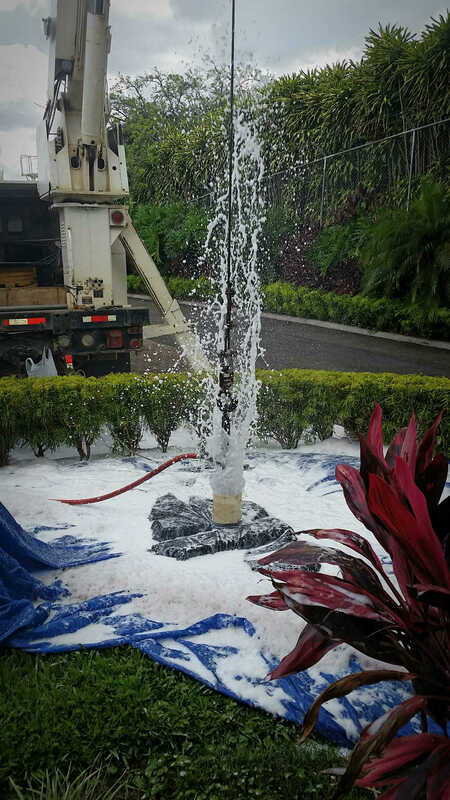 With and existing well or drilling a new one, Pura Vida Drilling can increase your water flow. I would like to personally thank you for visiting our website. My name is Jerry Werth and I am the owner of Pura Vida Drilling and Well Service. I have been involved in the drilling business since 1986 and I hold water well drilling licenses in the states of Colorado and Kansas. We have been established in the Latin America market since 2002 and home based in Naranjo, Alajuela, Costa Rica. We specialize in all types of drilling including large diameter Municipality wells and Residential water wells. 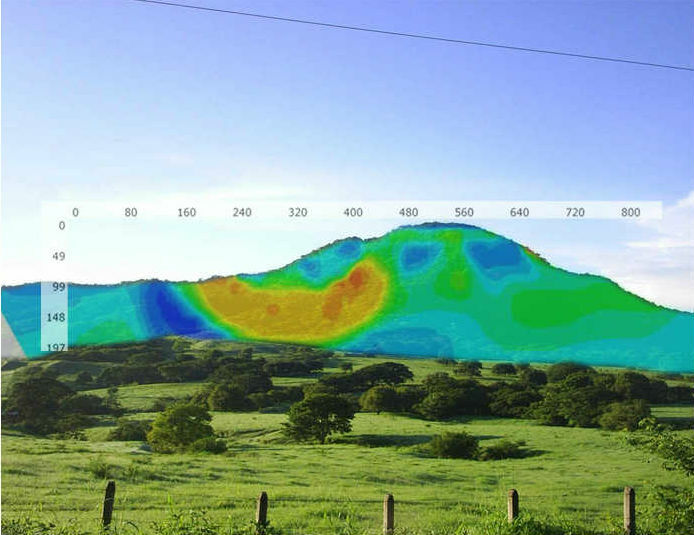 Resistivity imaging is the science of injecting voltage into the ground and measuring current. When this is accomplished using precision scientific instruments, you are able to find high and low resistive anomalies below ground surface. Groundwater would be a very low resistive anomaly. Technology has advanced to a level that we are able to connect 84 electrodes together using a 1200 meter long cable. A computer directs the instrument to take various readings at different lengths of the survey line. Normally an operator is able to collect approximately 6000 data points in a single line survey. A single line survey can be 300 meters to 1.2 kilometers long. Penetration of survey is normally 15% to 25% the length of the survey line. Example a 1000 meter long survey line would collect data from 150 to 250 meters below grade surface. Throughout history, mankind has achieved great development and improvement in lifestyle, which has led to uncontrolled use of all the resources available on the planet. However, the main resource “Water” is one that has had a greater impact on a global level and is of great importance to all inhabitants of the planet. Water is life, so we must care for it, protect it, manage it properly! Proper well development and cleaning consist of a wide array of procedures. Here in Costa Rica there seems to be a cookie cutter approach to cleaning wells. 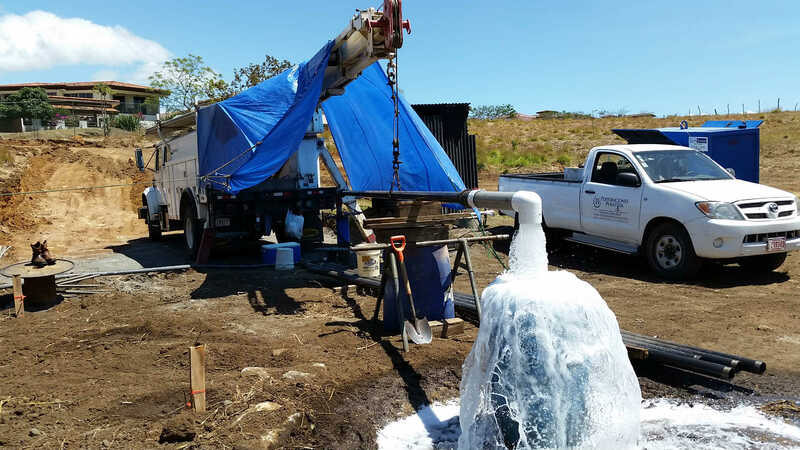 Normally this consist of pulling the pump and then blowing the well with compressed air hopefully removing sediments or mineral deposits that may be diminishing the wells capacity. This is a form of well rehabilitation but it is not the proper procedure for cleaning and developing a water well.